Express classes denote a shorter version of the real class. Any classes that specify 30, 75 or 90 denote the length in time of the class if it is other than an hour. Please choose a location to see classes from that club. 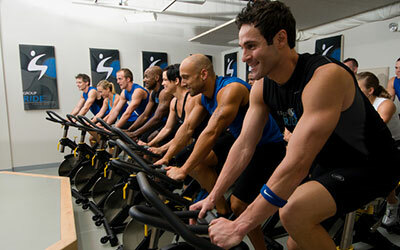 High intensity training that burns tons of calories, fast. For All American Training, we combine strength, endurance and power training while pushing your heart through zones of performance. You'll experience intervals rotated between treadmills, row machines, strap, floor and dumbbell movements in this hour-long class. 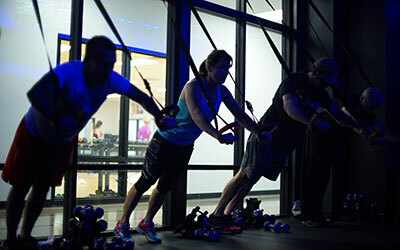 Genesis All American Training provides you the opportunity to burn calories like never before! 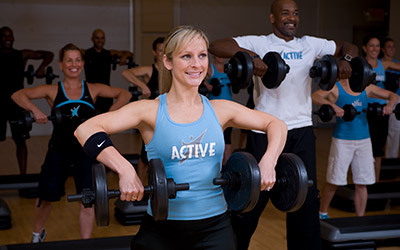 Group Active® gives you all the fitness training you need – cardio, strength, balance, and flexibility – in just one hour. Get stronger, fitter, and healthier with inspiring music, adjustable dumbbells, weight plates, body weight, and simple athletic movements. ACTIVATE YOUR LIFE! Group Power® will blast all your muscles with a high-rep weight training workout. Using an adjustable barbell, weight plates, and body weight, Group Power combines squats, lunges, presses, and curls with functional integrated exercises. Dynamic music and a motivating group atmosphere will get your heart rate up, make you sweat, and push you to a personal best! POWER UP! We offer Private and Semi-Private training in our fully equipped studio as well as Group Reformer, JumpBoard, and ALL equipment training. 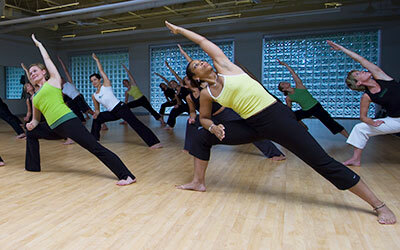 We also offer “drop-in” mat and barre classes which are included in your membership. Pilates conditioning promotes physical harmony and balance for people of all ages and physical conditions while providing an energizing workout. Regardless of your current level of fitness; from sedentary office worker to fitness enthusiast, Pilates exercise can be your primary mode of body conditioning or injury prevention. Whatever your goals, Pilates can and will change your body and life! Our teachers are the best in the industry, and represent the full spectrum of yoga disciplines. Whether you are looking for classical alignment based class, Vinyasa-flow yoga, or specialized classes in prenatal, children’s, rehabilitative gentle and Restorative Yoga, or Power Yoga, you will find them all at Genesis Health Clubs. We are especially proud of our Beginner and Yoga Basics Classes, designed specifically for new-to-yoga students and led by knowledgeable instructors trained to help you get the most out of every class. 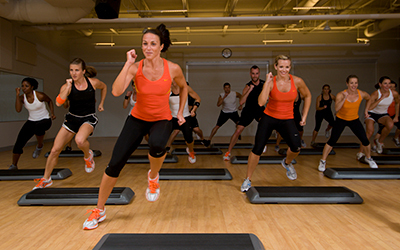 This class features aerobic/fitness interval training with a combination of fast & slow rhythms that tone & sculpt the body. It utilizes the principles of fitness interval training & resistance training to maximize caloric output, fat burning & total body toning. It is a mixture of body sculpting movements with easy to follow dance steps.